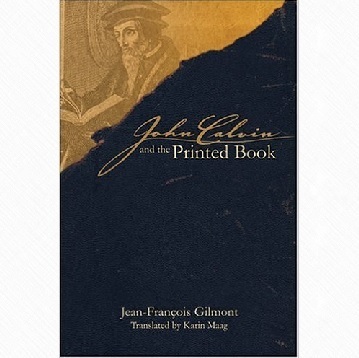 A review of, Jean-François Gilmont, translated by Karin Maag, John Calvin and the Printed Book, Sixteenth Century Essays & Studies 72, Kirksville: Truman State University Press, 2005, paperback, 331 pages including appendices, bibliography and index. 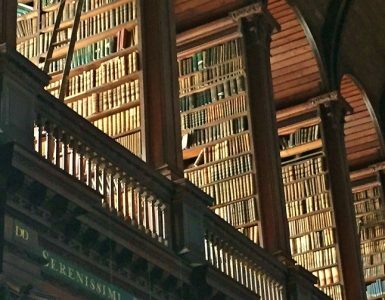 As the five-hundredth anniversary of John Calvin’s birth approaches interest in titles by and about the Genevan are enjoying increased interest. There are the usual studies of Calvin regarding various points of doctrine, the more sociological titles that deal with his work in Geneva, while other studies emphasize the Institutes, but the book that is the subject of this review provides a perspective on Calvin from a French speaking author. The English edition is available due to the labors of Karin Maag and her assistants whose translation provides a graceful and coherent English volume. The English reads as though Gilmont had written it himself. Gilmont’s book reminds us that there is a whole world of publications on Calvin written in French. Some other French titles available in English, such as Bernard Cottret’s, Calvin, A Biography, translated by M. W. McDonald (French 1995, English 2000), as well as François Wendel’s, Calvin: Origins and Development of His Religious Thought, translated by Philip Maret (French 1950, English 1963), may be familiar to Americans, but other titles such as Luchesius Smit’s massive 1958 work on Calvin’s use of Augustine has enjoyed a limited audience due to its French text. The title may lead one to think that Gilmont’s work is restricted to Calvin and the printing process, but the table of contents shows that the author’s work extends beyond just printing and publishing. The volume is divided into seven chapters titled, “Introductory Remarks,” “Printed Works,” “Writing,” “Reading Practices,” “Printing,” “Censorship,” and “Conclusion.” Some of the subsections distributed in these chapters include, “On the Usefulness of the Pen,” “The Sermons in Print,” Calvin’s Work Environment,” “Calvin’s Library,” “Choosing a Printer,” and “Calvin’s Knowledge of the Book World.” There are six helpful appendices provided, three of which are as follows: “Calvin’s Productivity,” which provides the total word count for each of ninety of his works; “Polemical Treatises in Chronological Order,” which is helpful for those interested in studying Calvin’s polemics; and “Calvin’s Dedications,” which lists thirty-three of his dedications. The book concludes with a bibliography of primary and secondary sources and a helpful index. One particularly user-friendly aspect of the book is Gilmont’s summary at the end of each section and chapter; the summaries bring it all together and provide the reader with the key points for future reference. There are many interesting facts and trivia about John Calvin and his work provided in John Calvin and the Printed Book. When the Genevan taught, he did so at a pace of about one-third of that for normal speech, thus facilitating his students transcribing the full text of his lectures (30). Calvin was “very unwilling to see his sermons published” (77). 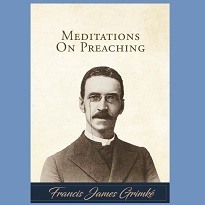 One of his reasons for wanting to withhold his sermons from the press was he believed they were not as precise as works he specifically composed for publication (77). He also opposed publication of his sermons because by nature they were long (124). His choice of language for publication, following the thought of the reformers in general, was indicative of his audience because French was intended for the general population, while Latin was directed to clergy and academics (113, 118, 280). He rarely translated his writings originally composed in French into Latin, but he often translated his Latin works into French (119-20). Calvin’s library has been estimated by Gilmont to have contained between 300 and 350 volumes (139, 143), which may seem small by today’s standards, but one must remember that there were fewer books available and they cost considerably more in the sixteenth century. Despite Calvin’s hectic schedule, he was able to fulfill pastoral needs in the church and the Geneva community. One particularly pastoral aspect of Calvin’s ministry was, as Gilmont expressed it, “his door was always open,” and “he had to cope with numerous interruptions to his work” (278), which may have pertinence for contemporary pastors who might find the four words, “I am too busy,” a convenient response to avoid interruptions. Considering the massive Calvin corpus for a life of only fifty-five years, it is a wonder he had time to eat much less have an open door policy. The chapter on censorship covers more than the efforts of ecclesiastical and community leaders to insure the publication of correct doctrine. In 1561 Calvin complained about works being distributed in which “passages of scripture are misused” (258). In one case an author wanted to publish a book of spiritual songs, but he was informed that he would have to redo his work with better French rhyme before he could receive publication permission (261). Another book was rejected for publication because it did “not provide much edification” (261). Gilmont’s book would be a helpful read for anyone interested in how Calvin studied, wrote, thought, and distributed his writings. He lived in an era when writers were developing the use of the printing press and seeking new ways to use the technology for their reforming work. As the digital era continually presents new challenges and opportunities, John Calvin’s extensive use of the communications revolution of his own era—movable type printing—may inspire readers of Gilmont’s book with ideas for the digital computer age. Tessa Watt’s, Cheap Print and Popular Piety, 1550-1640, Cambridge, 1991, which deals with the transition from a predominantly oral culture to printed communication, and how literacy levels affected the distribution of popular religious literature. Watt tells how broadsides (large printed sheets posted for public reading) and pamphlets (suitable for the common folk because they were fairly inexpensive) were used to distribute the ideas of the reformers. Elizabeth Eisenstein’s, The Printing Press as an Agent of Social Change, originally published in two volumes in 1979, then in a two volume in one abridged version in 1980 titled, The Printing Revolution in Early Modern Europe, Cambridge, 1983, are helpful resources. The abridged version is helpful for those desiring a less detailed but thorough survey of the communications revolution wrought by movable type printing. Her study examines printing and its influence during the Renaissance, Reformation, and the growth of modern science. The two French authors, Lucien Febvre and Henri-Jean Martin published The Coming of the Book: The Impact of Printing, 1450-1800, 1990, which is a reprint of the 1976 English translation of their original French edition of 1958. This book is concerned more particularly with the book itself, discussing such aspects as paper, technical problems of printing and their solutions, the aesthetics of the book, authors and their rights, how geography related to publishing, the expansion of the printing industry, how books were sold, and how the book was influential. Those interested in Martin Luther’s relationship to printing and books should read, Printing, Propaganda, and Martin Luther, by Mark U. Edwards, Jr., which provides a picture of Luther’s use of printing by examining his publication of pamphlets. A great part of the ex-monk’s success was due to his ability to produce timely tracts for the polemics of his era. Edwards notes that between 1518 and 1525 there were 219 editions of Luther’s publications in German with the total printings and re-printings of these works reaching 1465. If you would like to read more about Calvin a free PDF of T. C. Johnson’s book, John Calvin & the Genevan Reformation, 1900, can be downloaded by clicking HERE. NOTE–This review was copied to this site from its original posting by the author on Green Baggins dated March 26, 2008.